You proudly own and take care of a classic or antique car. You have spent years and countless hours on your vehicle. You are proud to show it off any chance you get. So why would you trust an ordinary auto insurance policy to cover your pride and joy? Just as with homeowners insurance and health insurance, having the right coverage for you classic auto helps your peace of mind. If you have not been having much luck finding classic auto insurance that meets your needs, consider giving Snyder Insurance in the Chicago area a call to see what we can do for you. In the meantime, here are some things to keep in mind as you think about insurance for classic and antique cars, and what you may need. What Do The Terms “Antique” And “Classic” Mean? The Antique Car Club of America has “antique” defined as any vehicle over 25 years old that is restored or still in close to ‘as-new’ condition. A car that is classified antique is also in full running order and safe to drive on the roads. “Classic,” on the other hand, typically refers to those makes and models that are seen as being prime examples of great automotive history and craftsmanship. 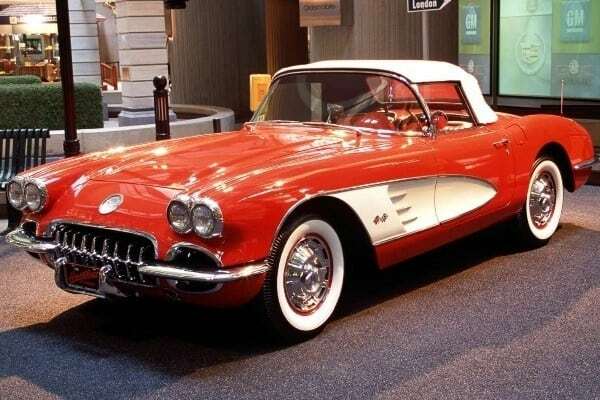 They often are those automobiles that broke norms or were surprisingly popular. A classic car may also be a make and/or model in which a very low number of them are still in working order. Whether classified as antique or classic, these are specialty cars and need the specialty coverage that finding classic auto insurance provides! Antique and classic car insurance is not a cookie cutter service. The coverage for an automobile has to be as unique as the vehicle itself when it comes to finding classic auto insurance. “One size fits all” policies don’t adequately cover the needs and aspects of these special cars. A custom classic/antique policy is your best choice. Getting an insurance plan that is tailored to your vehicle ensures that you are covered for everything you need, and that you are not throwing away money by paying for coverage and services you don’t need. Finding classic auto insurance can be a challenge, but getting insurance for classic and antique cars is possible with a team of insurance experts on your side! One big difference between insurance that covers classic or antique cars and standard auto insurance is the way the vehicles are valued. With typical auto insurance, the worth of the vehicle is based off a predetermined listing of similar vehicles. This is not what Snyder recommends when it comes to placing value on a classic or antique vehicle. Finding classic auto insurance means having an agent who helps you determine what the vehicle is worth and how much it needs to be insured for. This way, should the unexpected happen –whether you are at a car show, while the car is garaged, or if your car is totaled and a complete loss- you will be given the exact amount that was agreed upon for the replacement value of the vehicle. 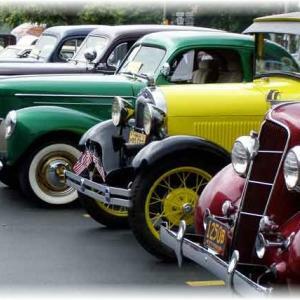 This is indispensable to those individuals who need insurance for classic and antique cars! Another feature many insurance providers offer for classic and antique cars is what is known as an inflation guard. This helps assure the owner that, as their car goes up in value, their policy will still cover the new value of the vehicle without a significant increase to their premium rates. Most classic cars or antique vehicles are not driven as the primary vehicle for the family. So, there is no need to get a full mileage coverage plan as you would for a regular car or truck. What many owners do is buy a mileage plan with a set number of miles to cover the times they will be driving their classic cars. For example, if you go to car shows across the country and plan to visit five of them this year, you would take a mileage plan out for the number of miles you estimate those trips would take. Now, let’s say it turns out that you only make it to two of those shows. Many classic and antique car insurance companies will offer roll-over features so you can take the unused miles and apply them to the next year. This is a service feature many vintage car owners love and look for specifically when finding classic auto insurance, and take advantage of it when choosing their plans and coverage. It can make the difference in deciding which insurance carrier to select. Antique and classic cars are just like any other vehicle. They can be purring like a kitten one minute as you drive down the highway toward a show, then next thing you know you are stuck on the side of the road. The difference with these specialty cars is that not just any mechanic knows how to properly work on them. You need to make sure the towing company and garage you end up calling knows what to do. This is another critical item when finding classic auto insurance that is right for you. Snyder Insurance is a stand-out in helping you choose insurance for classic and antique cars from carriers that offer specialized road side services and towing. This helps you rest easy knowing there is no need to worry about where you will go or who you will call, and that your baby will be treated with the same care and attention that you give it each and every day. You and your vehicle will be well cared for, and you will get the best service possible to get you back on the road and having fun as soon as possible! There’s a reason that family owned Snyder Insurance and Financial Services has been a trusted name in independent insurance agencies of the Chicago area, and beyond, for more than thirty years. Contact us online or call (630) 960-4848 to see what we can do for you, whether for general vehicle insurance or for finding classic auto insurance coverage. The Snyder team’s skilled and experienced staff would love to help you find the coverage plan that best suits your needs. With some help, finding classic auto insurance can be much easier, less stressful, and you can get the right plan. Let us guide you. We look forward to hearing from you!